The ICUMT 2017 is hosted this time by NOVOTEL München Messe**** , Munich, Germany. The NOVOTEL München Messe is located in Munich’s most interesting quarters: Riem, which surrounds Munich´s former airport has been reinvented as a totally new, vibrant and sustainably developed area. Here, right next to the Munich Trade Fair Centre / ICM, is the Novotel München Messe with its excellent transport connections, it is the first choice for leisure and business travellers. The Novotel München Messe Hotel is located very close to the exhibition center and many well-known companies. It has excellent links to the public transportation system and the A94 highway is 547 yards (500 m) away, giving access to regional and national events. The subway station (U2, MESSESTADT WEST) in front of the hotel offers a direct link to the city center in just 20 minutes. There are six golf courses within easy reach of the hotel, which also makes a perfect base for excursions to the surrounding mountains and lakes. Below, we suggest 6 hotels in the immediate NOVOTEL München Messe****, Munich, Germany, their location being indicated on the map. Munich is the capital and the most populated city in the German state of Bavaria, on the banks of River Isar north of the Bavarian Alps. Munich is also the third largest city in Germany, after Berlin and Hamburg, and the 12th biggest city of the European Union, with a population of around 1.5 million. The Munich Metropolitan Region is home to 6 million people. Munich's city climate lies between the humid continental climate (Köppen classification: Dfb) and the oceanic climate (Köppen classification: Cfb). The city centre lies between both climates, while the airport of Munich has a humid continental climate. The warmest month, on average, is July. The coolest is January. The city has an eclectic mix of historic and modern architecture, because historic buildings destroyed in World War II were reconstructed, and new landmarks were constructed. A survey by the Society's Centre for Sustainable Destinations for the National Geographic Traveller chose over 100 historic destinations around the world and ranked Munich 30th. Marienplatz is at the centre of the city – it is a large open square named after the Mariensäule, a Marian column in its centre – with the Old and the New Town Hall. Its tower contains the Rathaus-Glockenspiel. Three gates of the demolished medieval fortification survive – the Isartor in the east, the Sendlinger Tor in the south and the Karlstor in the west of the inner city. The Karlstor leads up to the Stachus, a grand square dominated by the Justizpalast (Palace of Justice) and a fountain. The company was founded in 1916 and is is headquartered in Munich, Bavaria. BMW produces motor vehicles in Germany, Brazil, China, India, South Africa and the United States. In 2015, BMW was the world's twelfth largest producer of motor vehicles, with 2,279,503 vehicles produced.The Quandt family are long-term shareholders of the company, with the remaining stocks owned by public float. 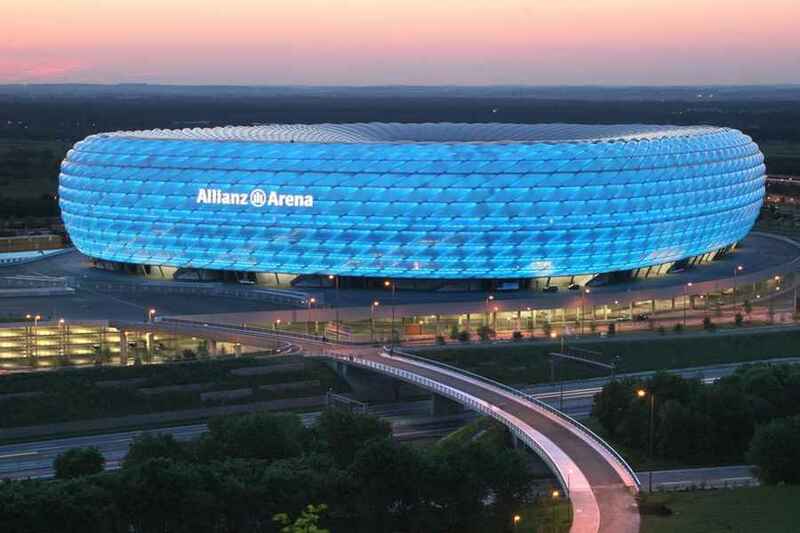 Munich is home to several professional football teams including Bayern Munich, Germany's most successful club and a multiple UEFA Champions League winner. The Munich area currently has three clubs: Bayern Munich, 1860 Munich and SpVgg Unterhaching in the Bundesliga, 2. Bundesliga, and Regionalliga (4th league) respectively, which are the top four leagues in the German football league system. The company has significant motorsport history, especially in touring cars, Formula 1, sports cars and the Isle of Man TT. By train and bus (München trips) Pick up the train („S8“) directly at the airport and travel from „Flughafen München Terminal“ to „Munich Daglfing Station“ station, travel time is 24 minutes, move 1 minute to Daglfing Bahnhof Ost station and travel here to Messestadt West by bus („183“). By train and subway/underground (München trips). Just pick up the train directly at the airport and travel from „München Flughafen Terminal“ to „München-Feldmoching“ station, travel time is around 27 minutes (train frequency is 15 minutes – estimated price is from 2€ to 5€), than switch to subway/underground on travel from München-Feldmoching to Messestadt West (subway frequency is 10 minutes – estimated price is from 4€ to 5€), travel time is around 37 minutes. Google Maps can be used to choose the best option if you want to use public transportation (Bus,Subway and Train) or just walk.